Enough with male lipstick already! They are definetely wearing lipstick, but based on these few pictures it also seems they color grading with Teal and Orange that results into this bluish orange look. The original lipstick color could have been a little different and more red than orange. Possible. But if you watch the series, it's so weird, EVERY single actor has the same tint. I have a feeling that what's happening now, is just like what they did back in 2013, using a filter in the camera that gave the actors a weird looking color in their skin. This time the filter must be affecting the lip color on the male actors bc maybe they are using a darker color for the guys. Ironically is always pink for the girls, and it doesn't affect them that much. Back in 2013 they started using a new camera that made the skin color look like they had a liver problem bc they looked yellow almost orangy in their skin color. My daughter who worked as a production assistant in a movie told me all male actors also wear heavy make up here in U.S. but they make sure it looks very natural. She laughed when I showed her how the actors look and can't understand why they don't correct what she also believes has to do with the camera. I don't know why they can't see that this new dark color lips on male Asian actors looks terrible. With all the talk about cosmetics and lip tints etc....it seems the world is on the 'Korean Beauty train". The many-steps cleansing and care lines are big sellers globally. My neice orders from a Korean company on the web regularly...yes...even the snail essence cream. I just had to share. Amazing makeover. Some commenter said "That's why you need to take a person you just met to swim as a first date." I laughed so hard. So glad she gave him chapstick hahaha. The whole things sounds so funny. 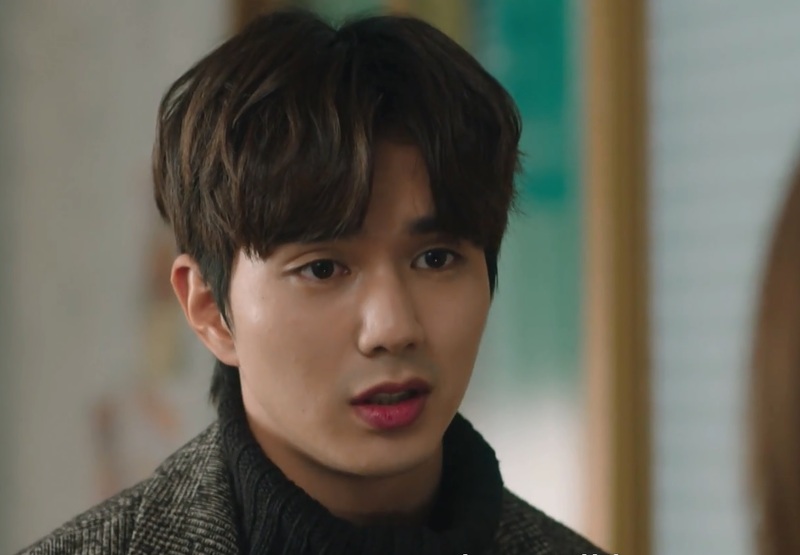 I really don't know about this ''lipstick'' in Koreans actors. I thought it was a normal colour, sorry I normally don't use makeup so don't know to say the difference between both, at last, not a little difference like that. But this still is a big revelation for me. 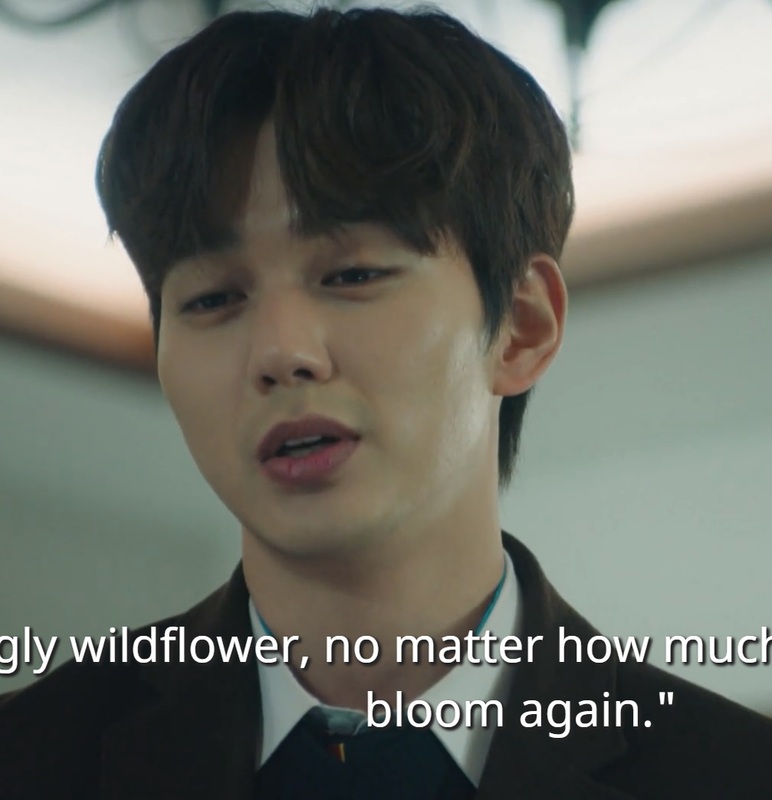 I even went back to some dramas I have watched. wow, I just didn't realize! yes a big revelation to me as well. Yoo Seung Ho strikes again! In "Strange Hero"
Including a pic when the lipstick had all but gone away, leaving some red lines on the lips. The makeup girl must have been fired after that! Give the guy some lipbalm geez! 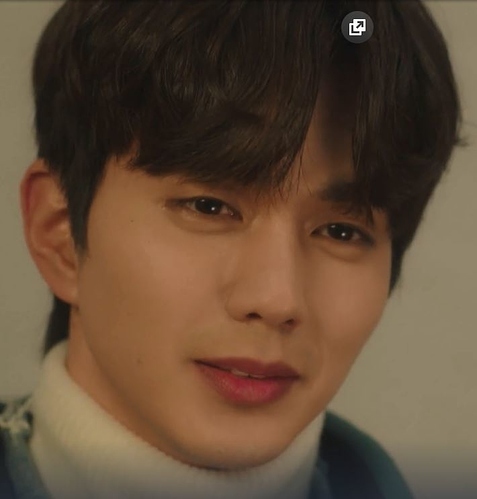 I loved Memories Of Alhambra and consider the drama one of the best in that category (non romance but action packed/ totally different story plot). The end unnerved/angered me, BIG TIME! But I have a feeling we are getting a sequel (second part) First, they gave at the end previews like if there was going to be another episode. I had to watch the damn thing 3 times bc I was so confused but I know we are getting a second part bc the ''BUG'' is still going around, and the ring still in the box.. These Asian writers/directors are such teasers. This drama was going so perfect so the ending made no sense at all. Looking forward to part 2....YES! What happened was it was a high tech modern drama and since my son is constantly playing those kind of games I was having fun/terror with it. When the thunder began and that guitar playing I ran to the other room bc it scared me so much... until I got used to it, and it wasn't so traumatizing. I personally loved it although the ending was disappointing bc it wasn't what I expected. Wait, permanent lipstick/makeup is a thing? Wow, I didn't know that! I don't mind lipstick on men. In the K and C dramas I've seen they use rosy color when they are healthy and a skin colored lipstick when they are sick. So it has a purpose. 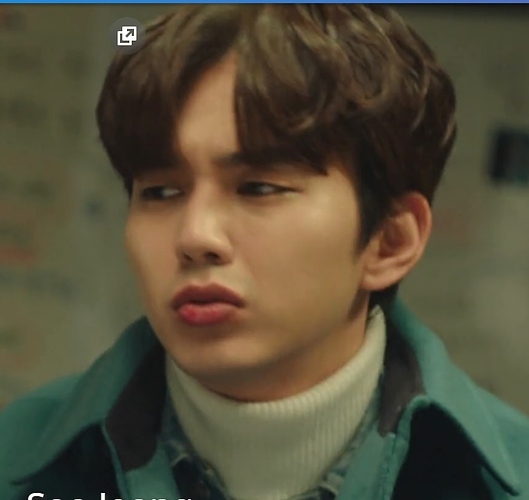 I'm more annoyed with non-asian dramas where the women are on point while they haven't even plucked the leading mans eyebrows. In all asian dramas the men have fabulous eyebrows. I've seen they use rosy color when they are healthy and a flesh colored lipstick when they are sick. So it has a purpose. They could use a naturally rosy hue for healthy and flesh colored (no blood) when sick. But here they use bright purplish fuchsia and even wine coloured, very dark hues. With lipgloss. This serves no purpose whatsoever. They look like drag queens. Of course you're absolutely free to like that. There must be some people who like this, otherwise it wouldn't be done. Obviously the Asian public is okay with it. But yes, I see your point and have seen that they sometimes might overdo it a bit. But I figured it's to show health.